Totlings is a company that has created a baby floor seat designed to reduce the risk of the top four infant ailments: GER, LER, Flathead Syndrome, and SIDS. They call it the Snugglish. Their goal in designing this product is to provide a safe seat that both baby and mommy will enjoy. It is soft and comfy for baby, and easy to move around and clean for mom. It even comes with it’s own unique storyline (seen in the video below) so that your baby can feel connected to it’s new toy. The Snugglish is CPSIA tested and certified for Child Seat Stability and Safety. It is also Lab-tested to help reduce various risk factors of the ailments discussed. 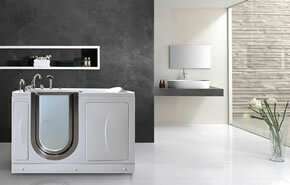 It has an interchangeable design to allow an extended life cycle, and an adjustable incline. Each Snugglish comes with two tops covers for easy cleaning, and can be purchased with or without a safety harness to be used with different ages. The base is designed with premium leatherette, or oxford fabric, and the top covers are designed with a plush water resistant velvet.